Get your pool repaired and serviced by the best. At Magic Matt's Pools, our customers are our top priority. We are a family-owned business with the desire to make your dream pool into a reality. We offer reasonable service and repair rates for all Phoenix-area homes. We specialize in fiberglass pool design and installation. 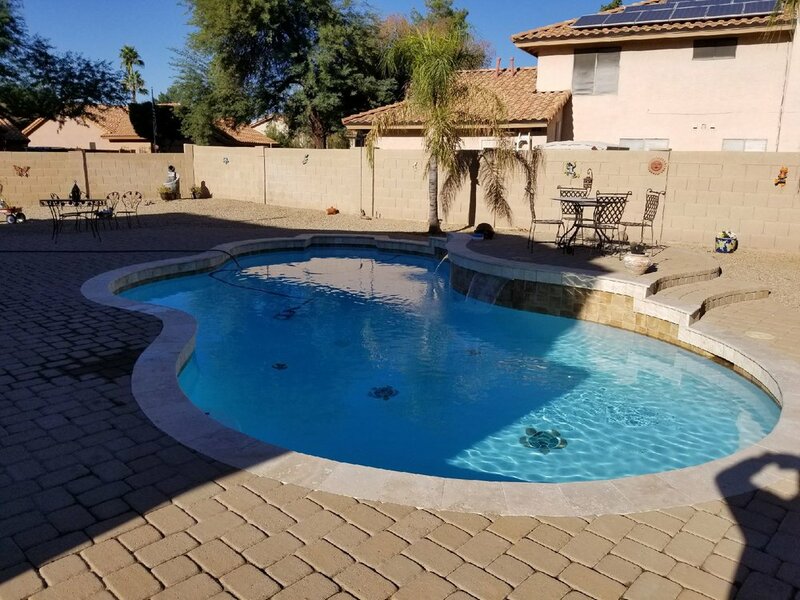 We perform installations, repairs, renovations, and upgrades for all features of pools, whether it's the lighting, the deck, a beach entrance, or Baja steps. We believe fiberglass is the best quality material for pool and spa resurfacing. Let us resurface your pool and turn your backyard into a vacation oasis! We offer pool and spa repair for all makes, models, and styles. If your pool or spa needs a small part or major repair, we can take care of that and get you swimming again in no time. Whether it's your waterline tile, or you want to increase the asthetic of your pool, we have you covered. If you love the pool or spa and want to take the hassle out of keeping it sparkling clean, we offer year-round, seasonal, or monthly service for all pools and spas. Fill out this form and we will get back to you quickly or call us! Thank you! Expect to hear back from Matt.